Howell Henry Chaldecott Lury, seventh in our list of 20 best agencies of the past 50 years, was the shop adland loved to hate. Whether you viewed its creative output as refreshing or a case of the emperor’s new clothes depended on what you thought of using laundry baskets to launch First Direct or the moral justification for featuring a supermarket worker with Down’s syndrome in a TV ad for Fuji. Indeed, Campaign’s selection of HHCL as its Agency of the Decade in the 1990s opened up some deep divisions within the magazine’s jury. For HHCL’s principals, all this was simply grist to the PR mill. Its founders were an eclectic quartet: Rupert Howell, a brash, Ferrari-loving ex-public schoolboy who made his name as a new-business go-getter at Young & Rubicam; Steve Henry and Axel Chaldecott, a respected creative team from WCRS; and Adam Lury, a former Boase Massimi Pollitt senior planner, said to take political correctness to the point of obsession. Not surprisingly, HHCL’s creative risk-taking meant its ads were very much hit or miss. One corker was the absurdist "You know when you’ve been Tango’d" spots, which Campaign dubbed "the seminal campaign of the 90s". HHCL wasn’t afraid to bite the hands that fed it either. One example was a 1987 ad querying audience measurement. It featured a couple getting intimate in front of a TV. The caption read: "Current advertising research suggests these people are watching your ad. Who’s really getting screwed?" The ensuing furore cost the agency Thames TV, one of its biggest clients. At the same time, it pioneered agency conventions that later became the norm. Everybody in the agency was urged to contribute ideas and clients were included in the creative process. In contrast to its rise, HHCL’s descent was long and painful. First, Howell – HHCL’s public face and its driving force – quit for a management role at Chime, which had acquired the agency for a reported £24m in 1997 in a deal bankrolled by WPP. Then there was the resultant split ownership after WPP bought 49% of the agency from Chime – something that some argued left it in an impossible situation. HHCL was never the same. In 2003, after some big account losses, it was renamed HHCL/Red Cell as WPP merged it into its Red Cell network. The HHCL name disappeared in 2006 when the agency became United London. It was folded into Grey the following year, having lost the £75m Sky business. 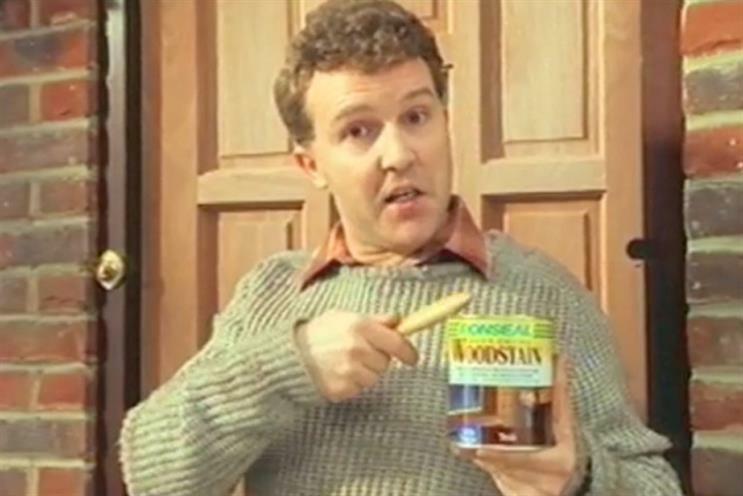 Below, we look back at some of the work that made HHCL reach number seven on the list, including classic ads for Tango, Ronseal and Pot Noodle.